Cabochons and kumihimo may not be the most obvious partners, but it is possible to find a wide range of ways of working them together. The challenge with a cabochon is that it does not have a drill hole, so a secure method of capturing the stone needs to be used. 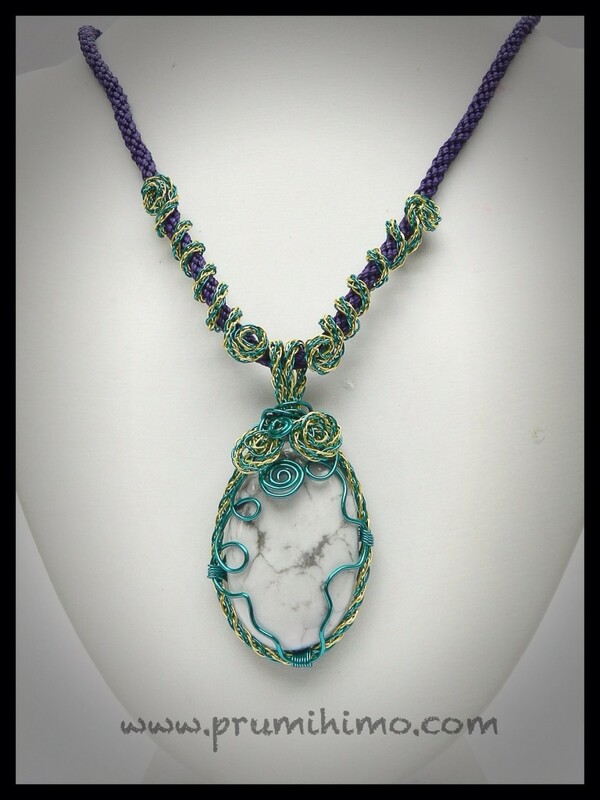 In the past I have demonstrated ways of wrapping the stone with a flat braid and using bead weaving techniques to attach it to a backing. For my most recent appearance on Jewellery Maker I was given two very different kits, which both featured cabochons. The first kit I demonstrated contained brilliant white howlite cabochons together with 0.4mm and 0.8mm wire. I decided to give basic wirework techniques the kumihimo treatment. I showed how to braid with thin wire, manipulate it and use it to wrap a cabochon, make decorative swirls and matching earrings. 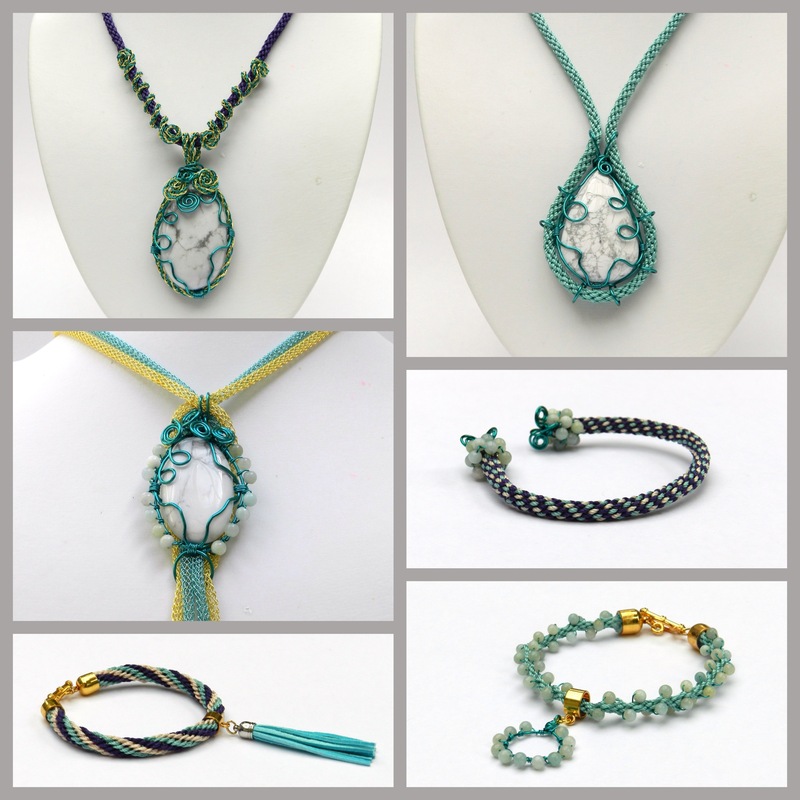 Additional designs showed other ways of incorporating kumihimo into wire wrapped designs. I am certainly no wire expert, but I do have a few basic wire skills, which I have found very useful with kumihimo. Wrapped loops, wire coils, wire cones and spirals are a few of the most useful. I think that there is a lot more potential for kumihimo in wire wrapping and I look forward to exploring further. I have now posted some instructions for these designs onto the site. I have not gone into much detail on the process of wire wrapping the cab because lots of useful tutorials can be found on YouTube. My aim is to show how wire kumihimo can be used with familiar wire techniques to create exciting new designs.